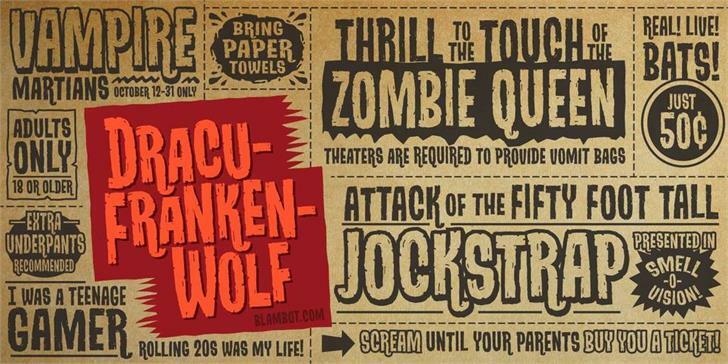 Inspired by classic monster movie posters, DrakuFrankenWolf BB is a distressed title font for all your horrific needs! Opentype only because I threw in some sweet autoligatures that swap out identical adjacent letters for a more organic look. Copyright (c) 2014 by Nate Piekos. All rights reserved. DracuFrankenWolf BB is a trademark of Nate Piekos.